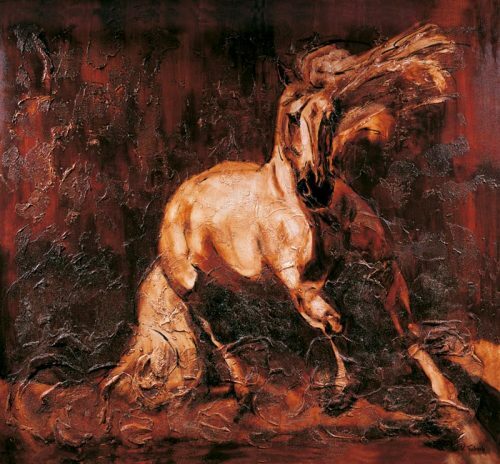 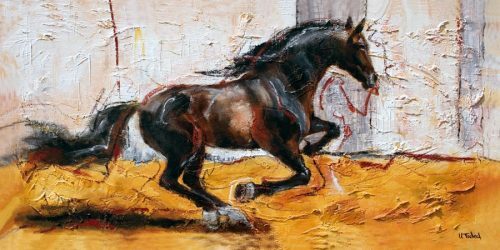 Behind some of these horse artworks in the category „Separate Horses“, there is a commissioned work, which the artist Kerstin Tschech realized according to the individual ideas and wishes of her customers. 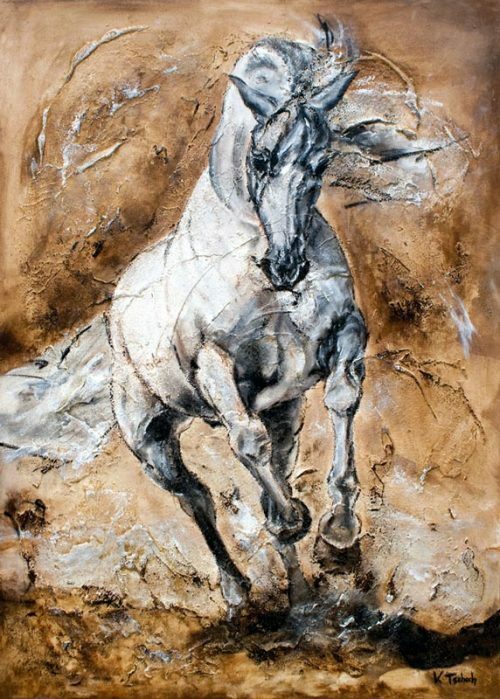 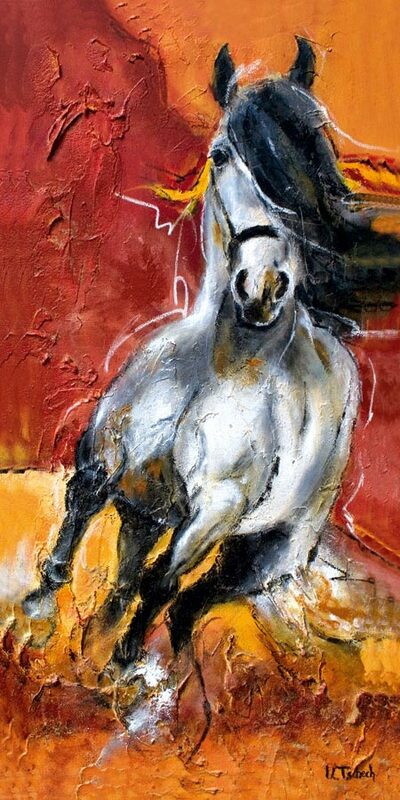 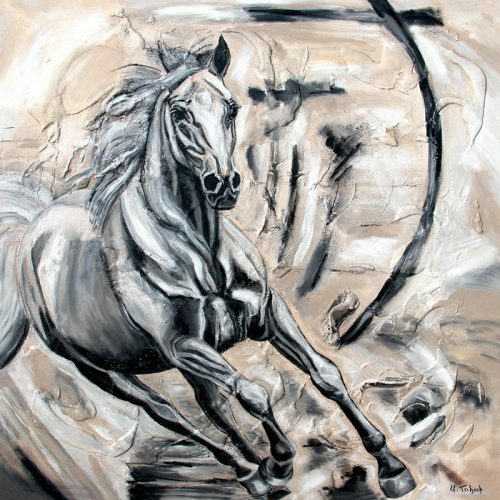 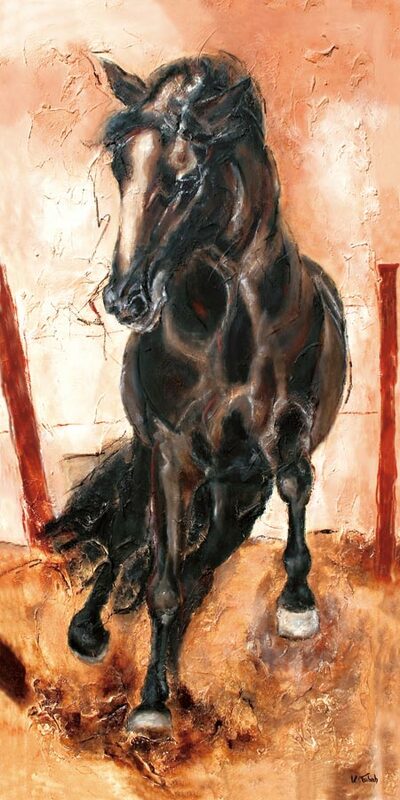 In order to capture the individual characteristics of the horses and the decisive details for the owner in a painterly way, the artist prefers to visit the horse and capture it photographically. 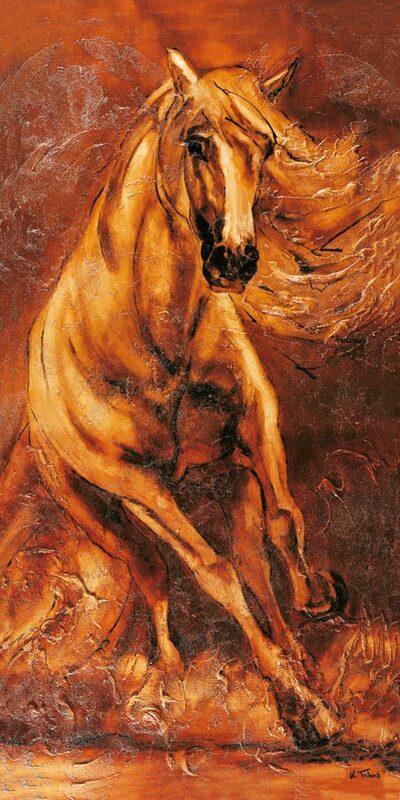 Furthermore she discusses with the customer the intended place for the horse painting on canvas, in order to select the suitable size and the appropriate design of the horse painting. 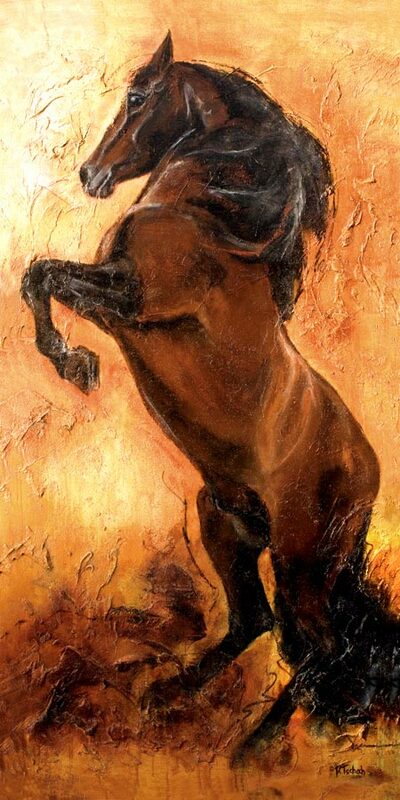 With this essential information and the made photographs the artist starts the painterly realization. 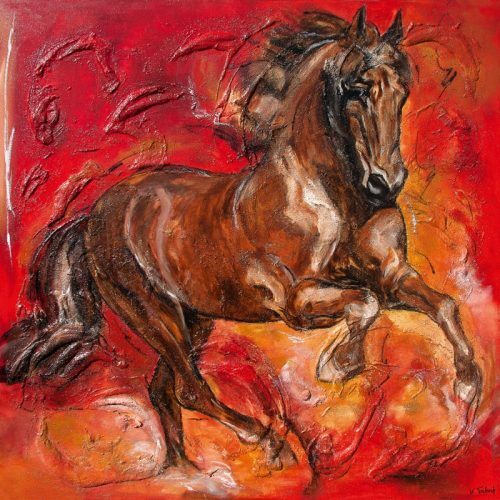 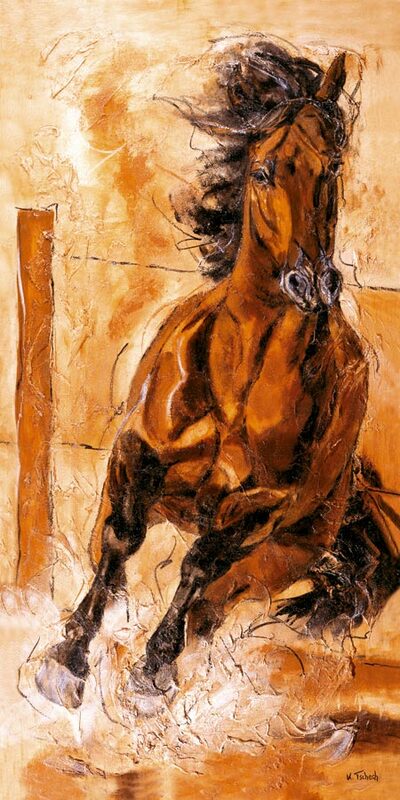 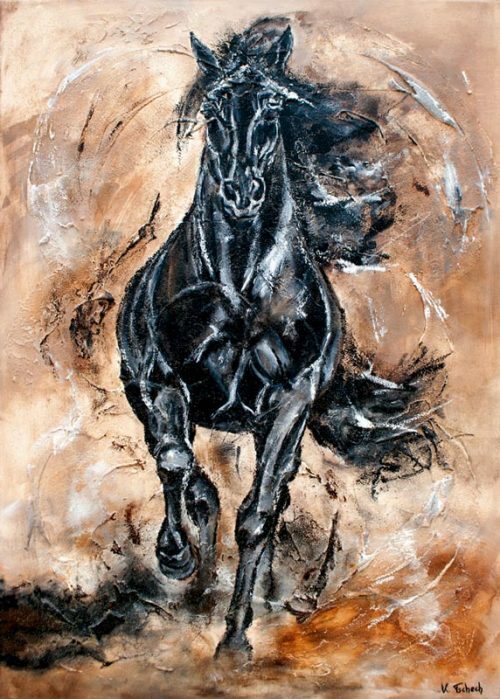 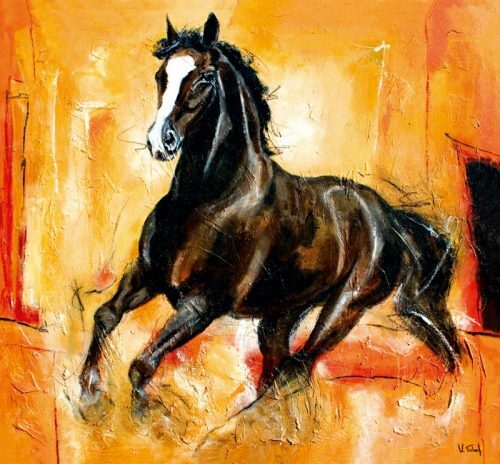 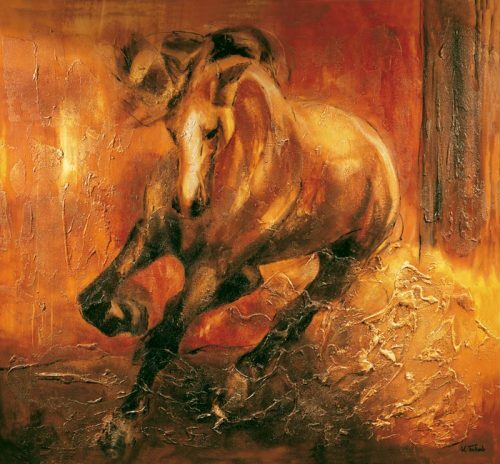 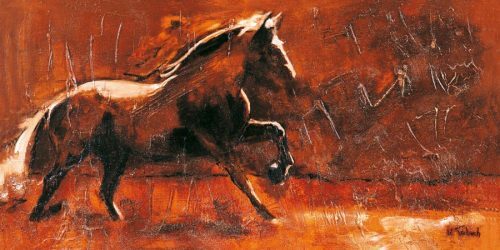 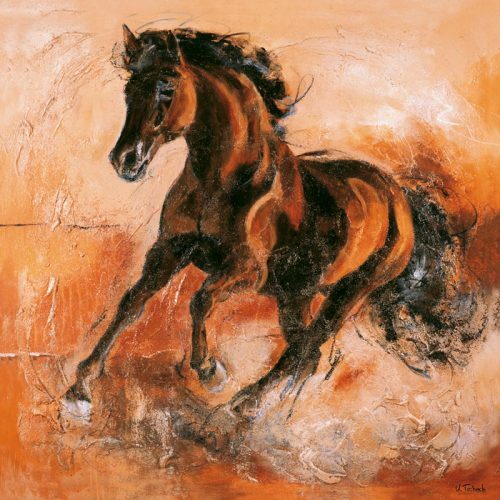 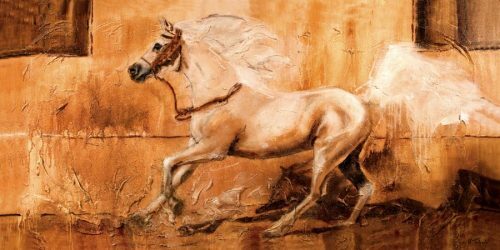 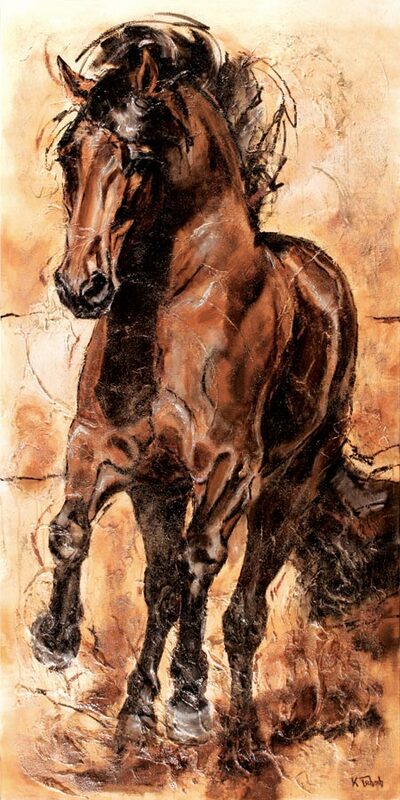 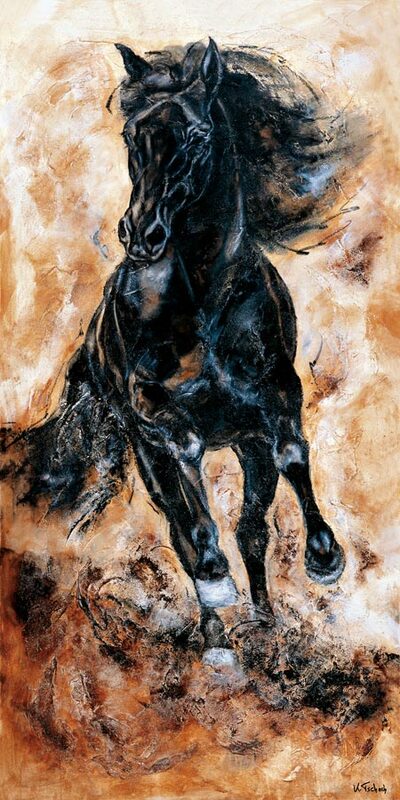 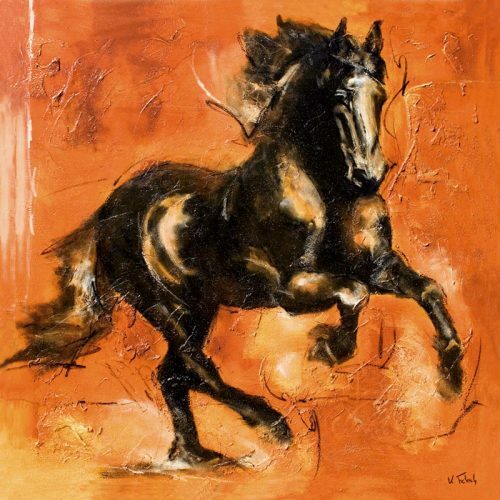 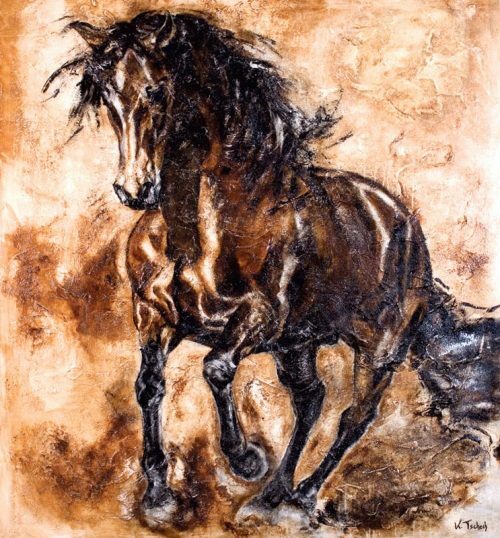 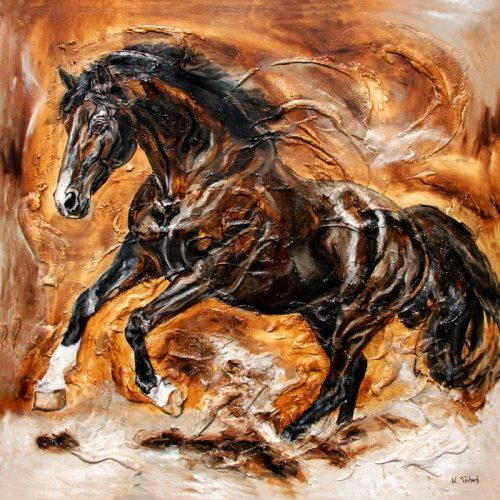 The horse fine art prints on this page are reproductions of original paintings, which were mostly made on commission by Kerstin Tschech. 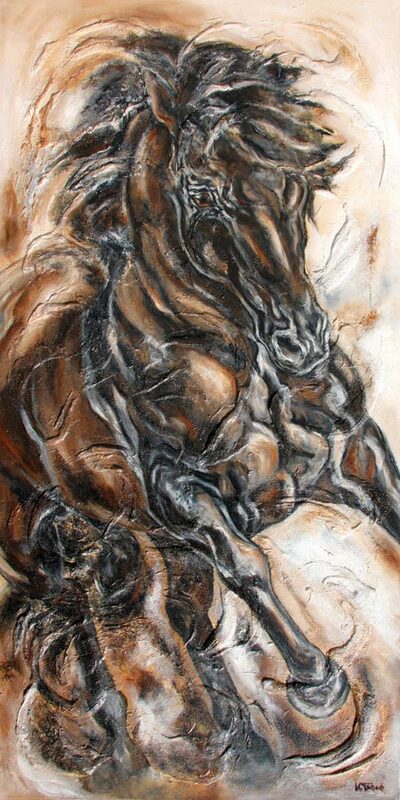 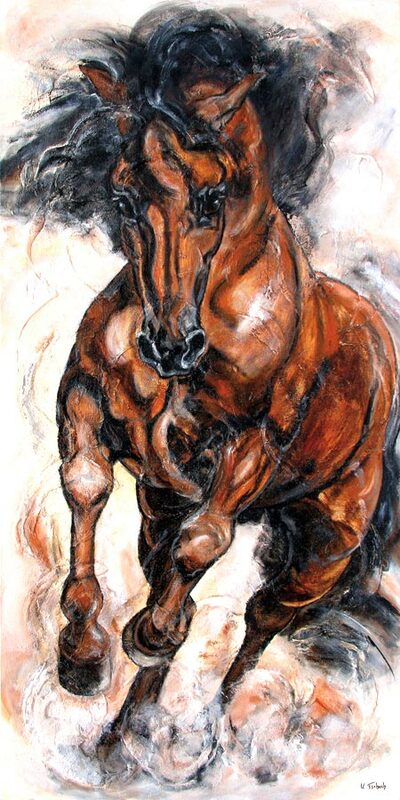 If you are interested in an original painting of your horses or you would like to know more about it, you can visit the homepage www.kerstin-tschech.com. 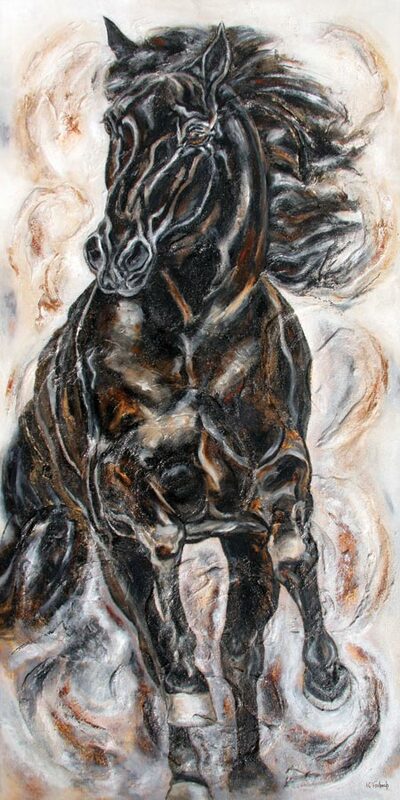 There you can also learn more about the artist and her philosophy. 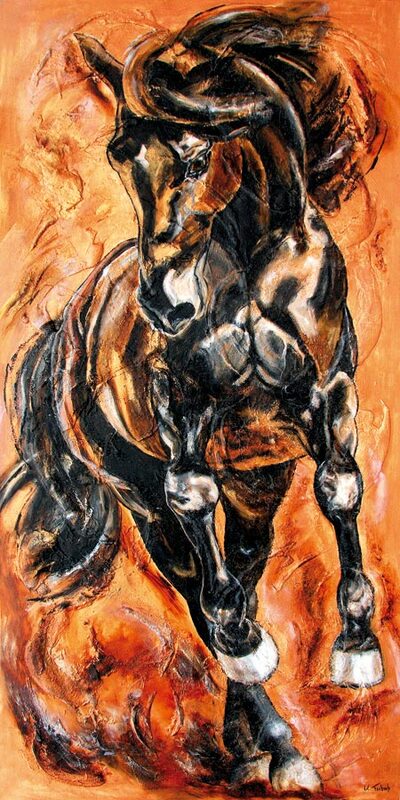 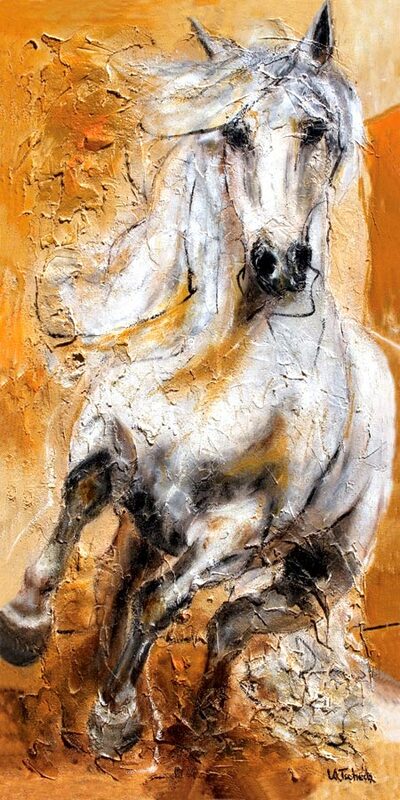 Furthermore, you can seet at which equestrian tournaments or horse shows the artist will show her work. 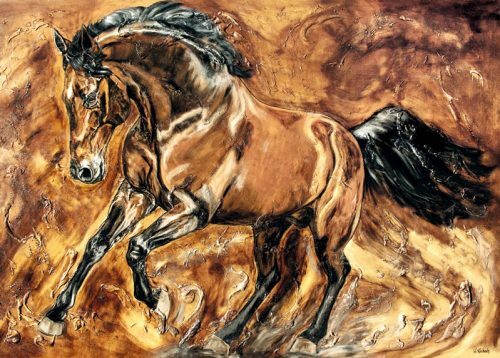 If you have found your favorite horse motif and you want to give it that certain something, you can choose between different finishing options. 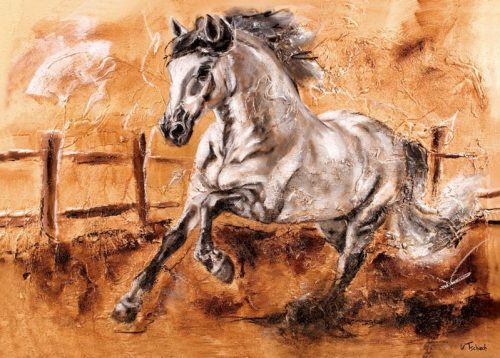 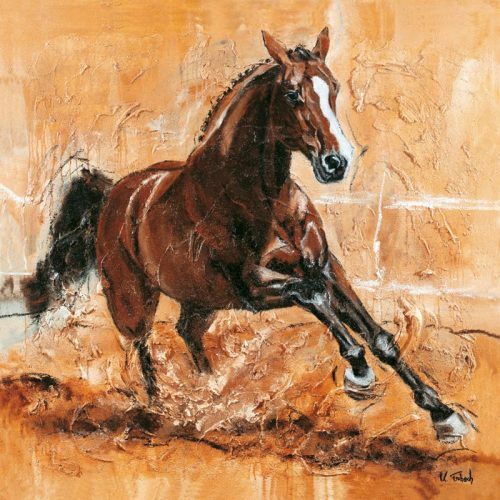 You can choose between canvas, canvas with structure, acrylic glass, aludibond or fine art paper to give our favourite horse print a special shine. 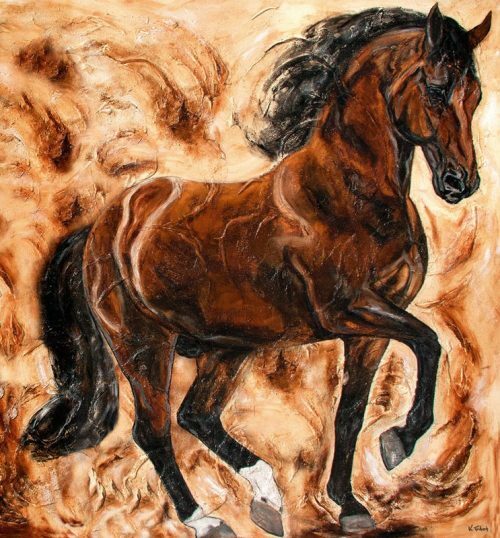 The artist also leaves nothing to be desired when it comes to different sizes: whether in posterformat or the horse is almost life-size, you can choose the right size for decorating your living and business premises.